When it comes to retail therapy, killing all of your birds with one stone and losing yourself in the crowds of a sprawling mall is perhaps to miss the point of London as one of the world’s most exciting places to splurge. The very best of the capital’s shopping can be found in the streets, boutiques and emporiums that are distinctly British. That’s not to say you can’t find almost everything you need in one place: London has a wealth of department stores, each with its own unique history. 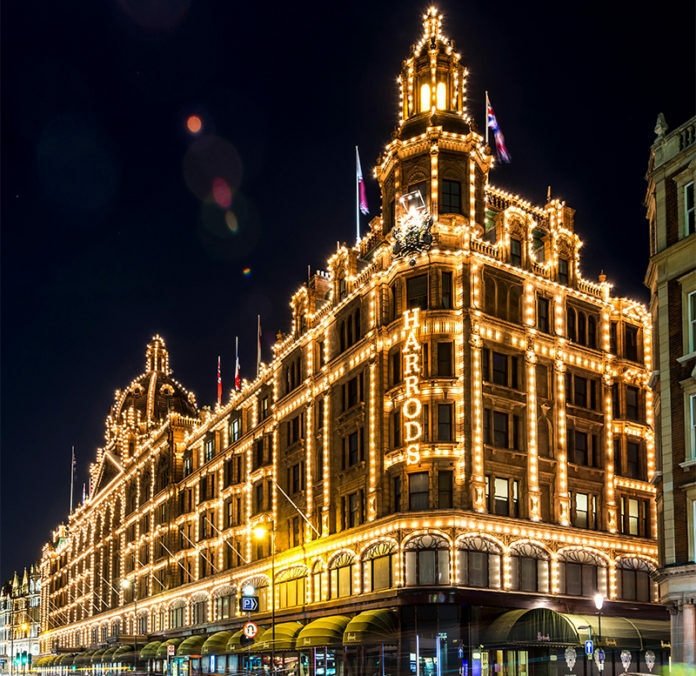 There’s Harrods, with its famous green-and-gold awning, which lights up wealthy Knightsbridge all year round but is at its decadent, sparkling best at Christmas. This bastion of British shopping had humble beginnings in 1832 as an East London grocer and tea merchant. Over generations, the business flourished, moved to the Royal Borough of Kensington and Chelsea, and became a delivery service. 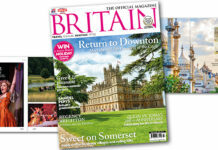 It remains the largest shop in the UK and one can buy almost anything there, although the pet shop closed in 2014 after 90 years of supplying well-bred critters for the more discerning animal lover. Forget pound-shop tat to remember London by, Harrods offers luxury souvenirs including handbags, soft toys and crockery. Then there’s Liberty, famous for its distinctive Art Nouveau designs found on its stationery, scarves and leather goods. The shop itself, a Tudor revival building on the western outskirts of Soho, was constructed in 1924 from the timber remains of two ships, HMS Impregnable and HMS Hindustan, so it has a suitably well-worn feel: think creaking staircases and wood-panelled walls. While the atmosphere is cosy, there’s no mistake that lavishness and originality are king here. Liberty is proud to not stock absolutely everything, choosing instead to be selective, but you’re sure to discover something new with every visit. If Liberty is as quaint as a department store can be, Selfridges is undoubtedly her flashy cousin. 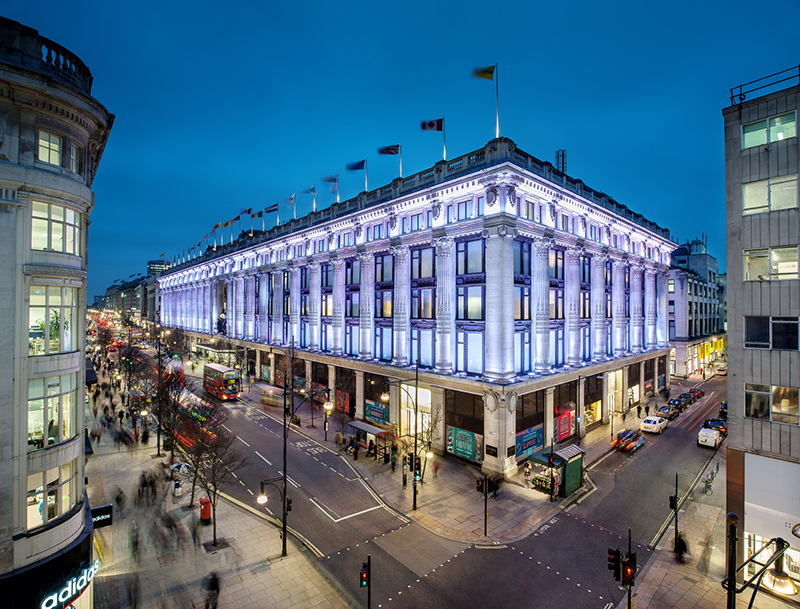 The flagship Oxford Street store’s founding in 1909 was dramatised in TV series Mr Selfridge, and a visit can be a daunting prospect on a Saturday. The atmosphere in the beauty department is more akin to a nightclub than a shop, but if you are looking for something specific and special, Selfridges is the place in which you are almost certainly going to find it. 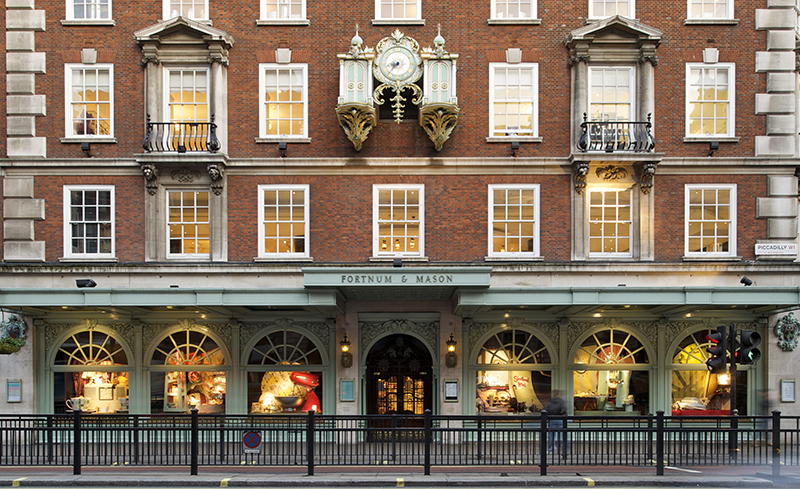 For the perpetually peckish, there is nowhere better than Fortnum and Mason on Piccadilly. Established in 1707, this luxury department store is the spiritual home of many a glutton, with floor after floor offering the finest quality British fare: tins of biscuits, truckles of cheddar, tuck jars of boiled sweets and a wealth of decorative tea caddies filled with the finest loose leaf tea in the land. 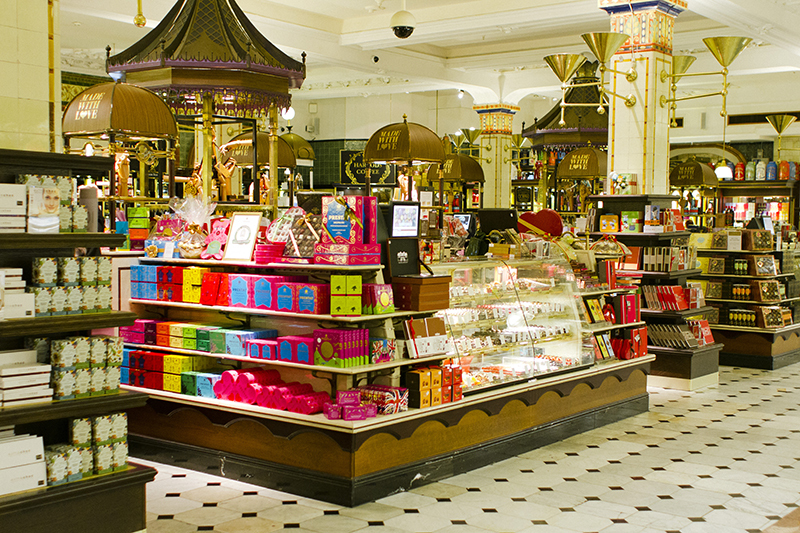 Fortnum and Mason’s hampers are famous the world over and can be tailored to your taste or the occasion. So, should the Grosvenor Hamper, the Mini Huntsman Basket or any of the other pre-selected options not tickle your fancy, you can build your own from scratch. 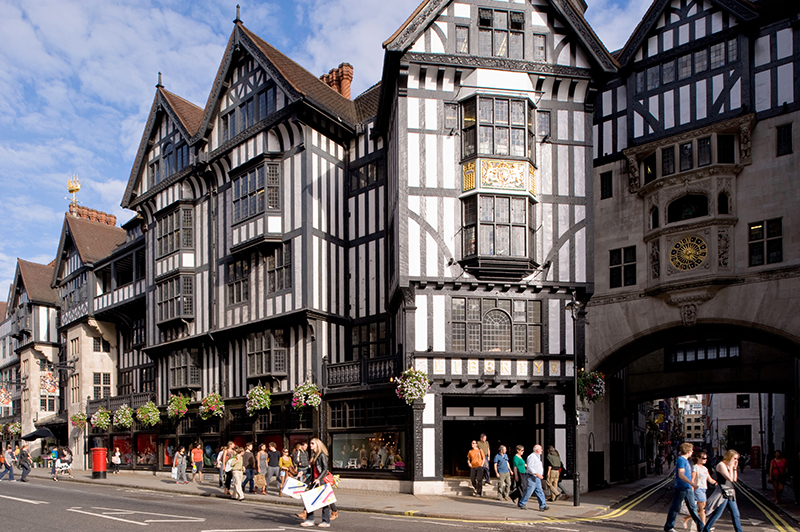 London is also home to a number of shopping arcades, such as the ornate Burlington Arcade on the opposite side of Piccadilly to Fortnum and Mason, which boasts boutique jewellers, watchmakers and tailors. Look out on nearby Albemarle Street for the luxury luggage-makers, Globe-Trotter – a brand favoured by HM the Queen, who chose the sturdy-yet-stylish cases for her honeymoon. Bookworms in need of a fix should pop into 18th-century bookseller Hatchards on Piccadilly or any branch of Daunt. The selection in store will lead to a lengthy browse and a chinwag – the staff are truly passionate about literature and your ‘must-read’ list will be longer than ever when you emerge. The Marylebone High Street Daunt store is especially beautiful given it was built specifically as a bookshop in 1910. To this day, the stunning Edwardian gallery at the centre, where the floor-to-ceiling shelves of the travel section are resplendently sky-lit, makes the entire shopping experience unique. For the more ambitious shopper, it’s worth heading out of Zone 1 to find hidden gems. Kensal Rise in the northwest of London boasts a number of little boutiques, including Nooki for offbeat accessories and silk kimonos, and Circus for antiques. If upmarket clothes and accessories are what you are after, head directly to Westbourne Grove where mainstays of British design such as Emma Hope, Smythson and Brora are all in easy reach of one another. For vintage garb look no further than Brick Lane in the East End, while for top-end British antiques you’ll need a wander down Lots Road, which borders Chelsea and Fulham. With all of this to choose from and more, there’s really only one top tip for a day’s shopping in London: comfy shoes.